So who wouldn't jump at the chance to try a delivery service that not only sends you fresh food but everything you need - including recipes - to make three meals? 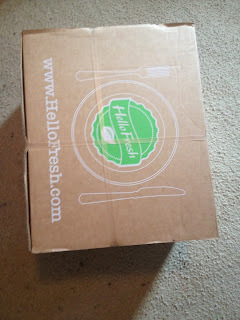 In exchange for my review I was sent a 'Classic Box' of three meals via the weekly home delivery offered by HelloFresh. 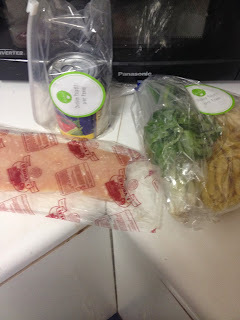 The cost of three meals is $69. 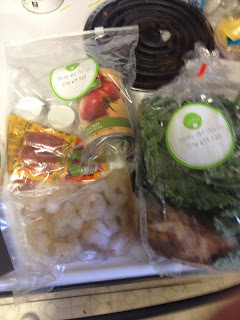 per weekly shipment (The Veggie box is a bit cheaper). The service is not available in all areas so be sure to check before signing up. You have the choice between the 'Classic Box' and the 'Veggie Box' for two persons or four persons. Once you sign up then you view the menu for the coming week and make your selections of three meals from the five choices. 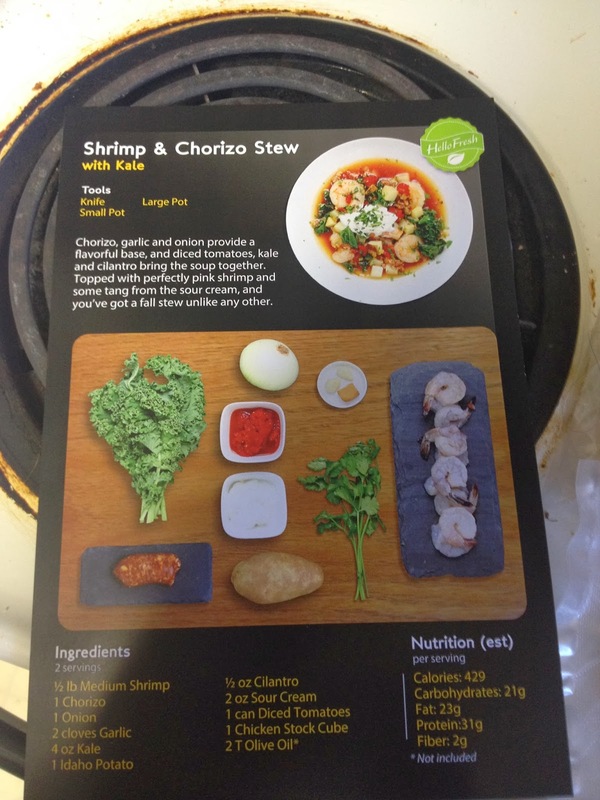 Please be aware that HelloFresh cannot guarantee allergy free or cross contamination free products. I understand this can be a downside. We have no food allergies - or none that I was aware of until now (more on that later) - so it wasn't limiting our options as far as menu choices. If you don't like the choices or are going out of town then you can pause your deliveries. The website is VERY easy to use and navigate. If you decide the service is not for you cancellation is also quick and easy via email. Do be aware of time deadlines for choosing or pausing your meals if you decide to continue with a subscription. 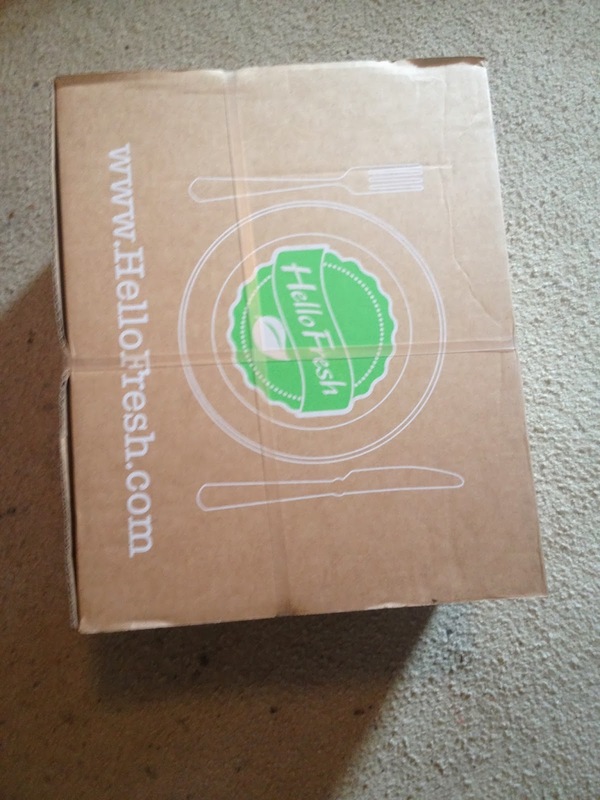 I was hugely impressed with the packaging of my box. There was no way anything in this box was going to get warm - it was surrounded by icepacks and very nicely insulated. Deliveries are via Fedex and this came on a Wednesday. I decided to make the Chicken Polpetti first and pulled out all the ingredients. I then followed the clear and step by step instructions on the great recipe cards. 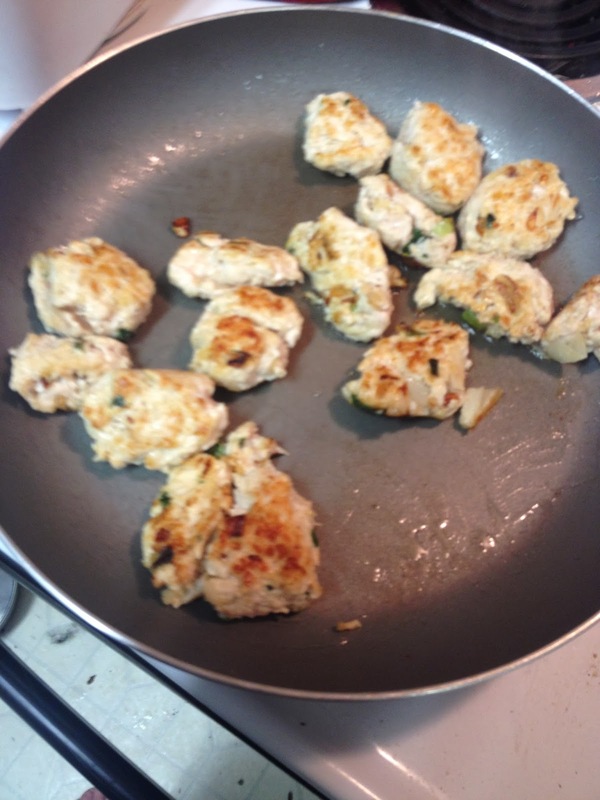 We had never tried ground chicken before so I was a bit worried about getting it done well enough - and I'm not a very good meatball maker - LOL. The results were extremely yummy and there was plenty for Hubby and I for dinner and lunch the next day. This recipe was a keeper for sure. 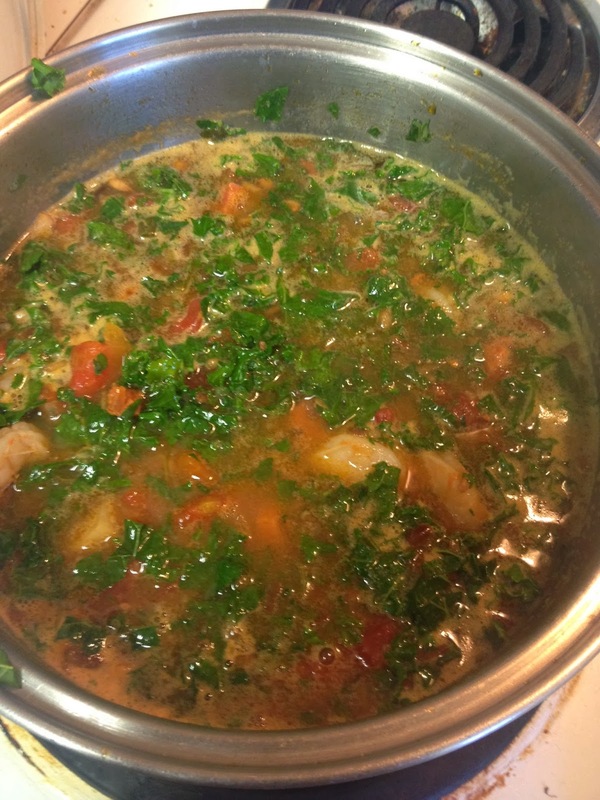 Next I made the Shrimp and Chorizo Stew with Kale. Shrimp is a particular favorite of mine and I love stews especially with a bit of cold weather headed our way. The dish turned out well except that I discovered that I am allergic to Kale. 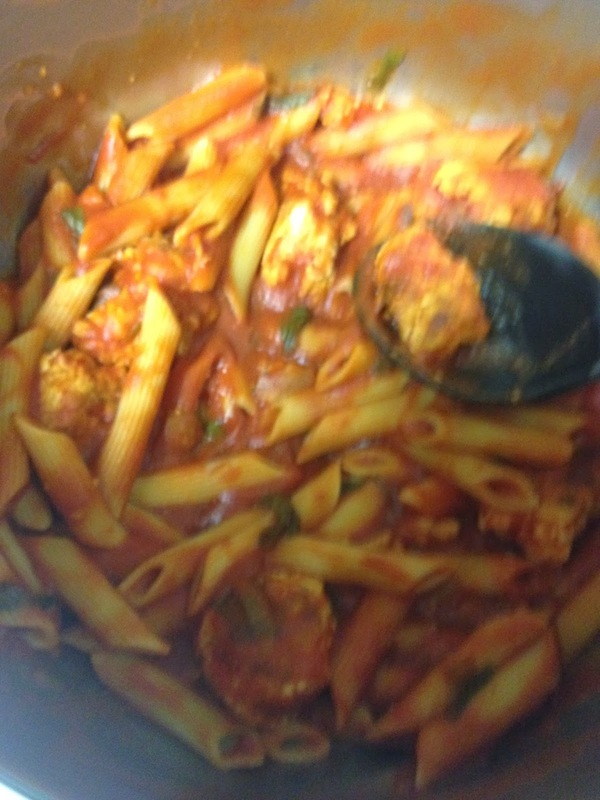 No worries - DH just took it to work for lunch and enjoyed it. Finally was the Spicy Thai Beef which I thought DH would enjoy. I'm do not like coconut so I made this for him to take to work for lunch. This was not a particular hit but two out of three is what I consider a success. 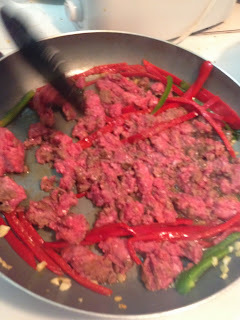 I confess that I do not like cooking with a lot of prep work involved. Both my husband and I like our dinner to be easy prep. 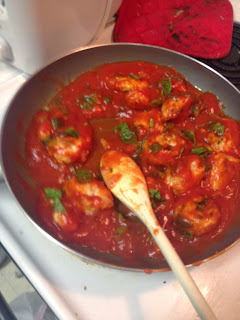 But we really enjoyed cooking these dishes together (and eating them). I think this would be a great gift to send to friends and family that like to try new dishes or have just had an addition to their family or an illness. 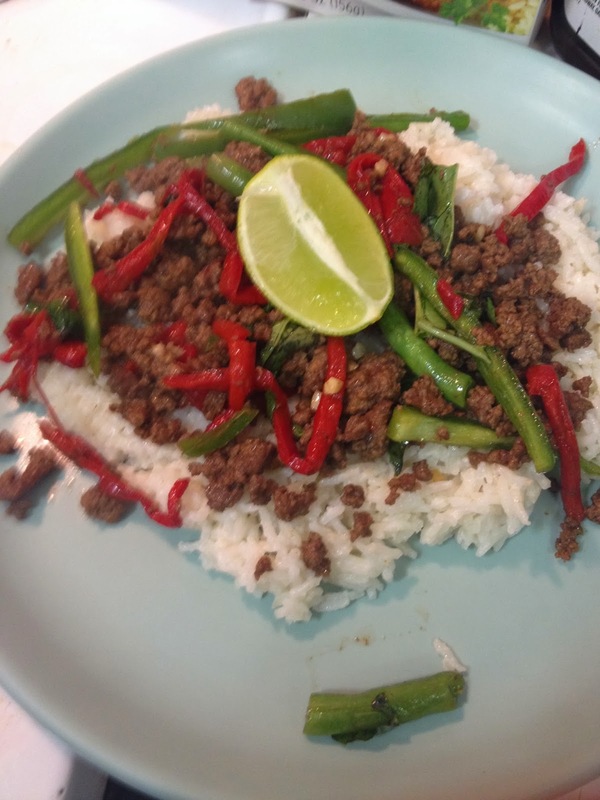 To see what the team had to say about this product - and there are a lot of good recipes described with 100 reviewers with different weeks involved - click here. I'm sad to say this is my last review for the Mosaic Review Team. I really enjoyed my time with them and this was a great way to end. I was pleased to receive A Tale of Two Kingdoms and God's Unfolding Story of Salvation by Heather A. Kendall to review as part of the Mosaic Review Team. Both books are part of a Bible study written by Heather Kendall who wanted a Bible study that helped Christians see the big picture of the Bible and God's plan of Redemptive Salvation. It's very easy to get bogged down in topical Bible studies and miss the entire tapestry of Salvation God has woven for us. A Tale of Two Kingdoms can be used as a stand alone but I got the most out of using with God's Unfolding Story of Salvation. I like to read the Scripture, the main book and then go back and use the study questions to help me delve deeper. Even though it can be confusing to match the study guide with the main book, I did find it easier as I went along. I'm not nearly done with either book as I really like to stretch out my Bible study and the Bible is a large book with a full and rich story. I've done other Bible studies in the past - Beth Moore studies and the United Methodist Churches Disciple series and I believe this one is just as enriching and deep as any other I've used. Our story starts - of course - at the beginning with Genesis - God as a Creator, His plan for Creation, and the Fall. We then start to see how God foreshadow's the coming of the Savior through Abraham and his sons. One of my favorite people in the Bible is Melchizedek. I learned that he was the king of Salem. I had learned before that he was the Priest of God to whom Abraham tithed. I did not know before this study that Melchizedek means 'king of righteousness' and Salem means 'peace'. I did not know that Salem is the oldest recorded name for the city of Jerusalem. I love learning more about the Bible - it is a book that you get something new from every time you study it. We then study how Israel was established as a nation, about David, the two kingdoms of Israel, the fall of Judah, the captivity and the years of silence before Jesus birth. The second part of the book covers the ministry of Jesus and beyond to Revelation. This set is perfect for any group that would like to get the big picture of God's redemption of Creation or an individual wanting a deeper understanding of God. It was written for teens but I would believe it would be more well suited for young adults and beyond. It is a meaty study. I plan on finishing this set as my main Bible study. 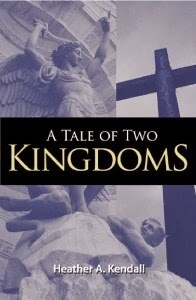 A Tale of Two Kingdoms can be purchased from Amazon or the author's website. Amazon has the Kindle edition for $9.99 or the paperback for $18.86 plus shipping and handling. From the author's website it is $23.00 with free shipping and handling in paperback. 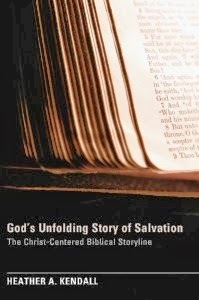 God's Unfolding Story of Salvation is only available in paperback from Amazon for $20.70 plus shipping and handling and for $22 from the author's website with free shipping and handling. To find out what others on the team had to say about this Bible study, click here. As part of the Mosaic Review Team we got to choose an Art Project DVD from See The Light. I chose 'Peaceful Seas' because we live next to the ocean. 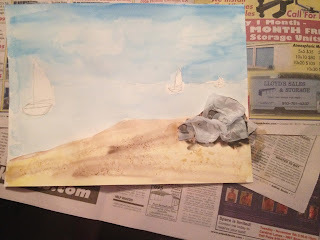 In this lesson you will create a sea scene in the style of Winslow Homer - an American Artist whose mother was an artist herself that specialized in watercolors. Homer was taught by mother as a child and grew up to be a commercial artist and illustrator for Harper's Weekly. He vacationed in Massachusetts and that was where his love of sea scales started. The mini biography was a great highlight of the lesson as were the way she weaves the Bible and Scripture into the lessons. From the moment it arrived in the mail I was impressed - The DVD was broken down into four lessons and the time each required right on the DVD. The back of the DVD case listed the supplies needed and I was happy to see I had all of what was needed on hand. Almost all. I tried substituting some paper we already had and - just say no. Water color paper is needed. Trust me. Even better was the enclosed letter detailing how to use See The Light Art Projects to create a half credit Art elective for my high schoolers. 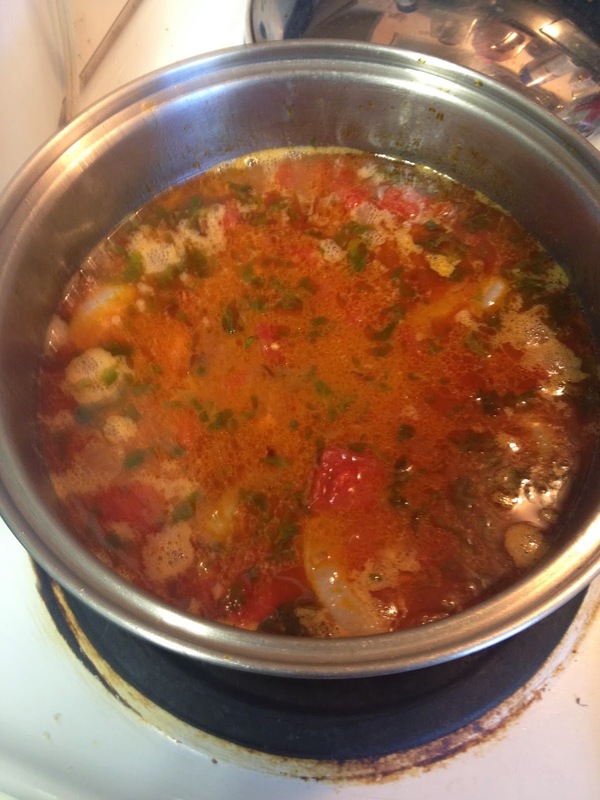 Since Oldest enjoyed this product so much I will probably use others in this series and we will take some trips to the local Cameron Arts Museum and the NC Museum of Art in the future. Confession time: Despite taking art for two years in High School I cannot draw a straight line with a ruler. My boys would love to do art projects but it's one of those thing that has gone by the wayside. 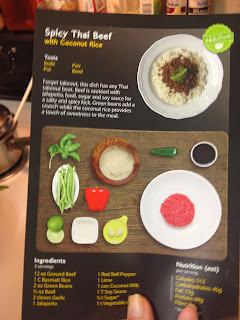 I loved the layout of this product. The first part of Lesson 1 goes over the supplies you will need and how to best lay them out. Then Pat Knepley, your instructor, gives you some background on the artist behind the Art Project and adds in lessons about art itself - this project uses mixed media because it combines water colors and pastels. 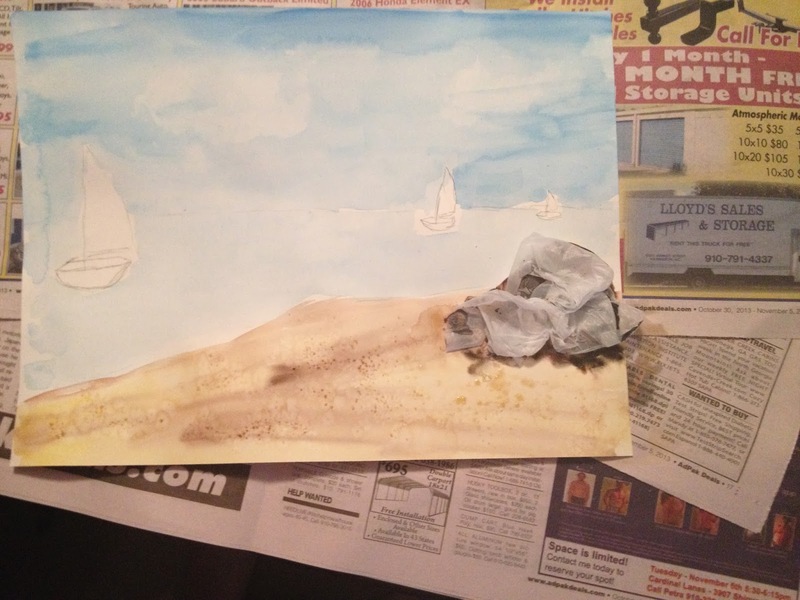 In Lesson 2 we worked on our sandy beach and started the texture on our rock. 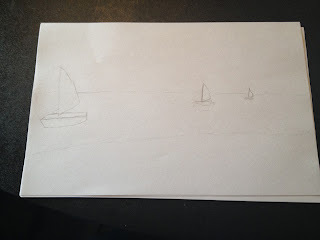 Lesson 3 was tricky as we worked on the water itself. Lesson 4 was adding the finishing details to the Boat and the Shore. And it's done! We did have a few hiccups but all in all not bad at all. Dad wants to hang this in his office at work. What really pleased me was how clear the instructions were. It would be very easy for my boys to get frustrated with this type of art due to fine motor issues but it was enjoyable. 9 DVD Boxed set for $99.99. A 9 month subscription for $12.50 per month for 9 months. Purchase one out of the set of 9 at $14.99 each. The only cons were visual problems due to our poor eyesight and me trying to use the wrong paper at the start - regular paper and water colors do not mix well. 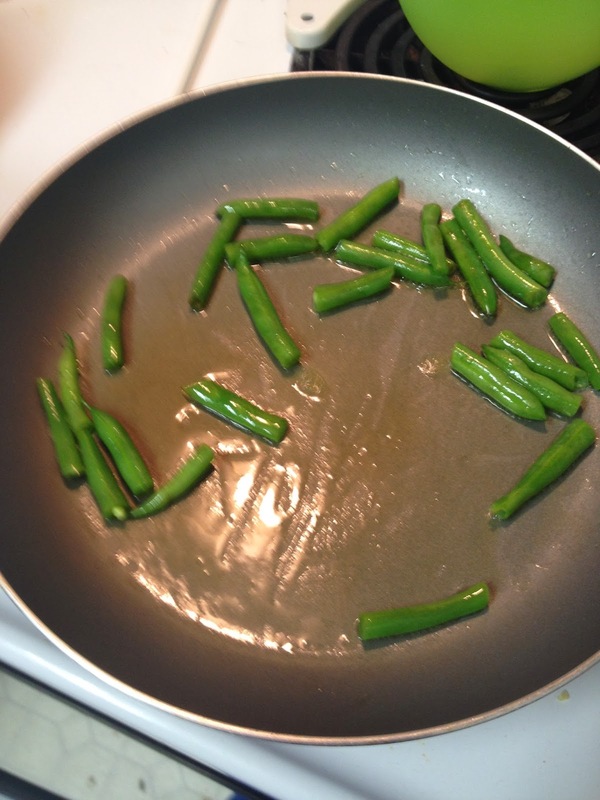 Again, these were user error and not due to the product. Oldest and I really enjoyed using this project and I will be using it for the other two as they grow ready for it. I still can't draw a straight line with a ruler but I can't help but be pleased at how our finished product turned out. To see what other Art Projects from See The Light the Mosaic Reviews team tried out, click here. We have a really good variety of projects to see and some great reviews! iTooch Middle School Grades 6-8 - Common Core Aligned. iTooch TOEFL - Prep for the TOEFL exam through Speaking, Listening, Reading and Writing Questions. iTooch SAT - Critical Reading, Math, Biology and US History practice for the SAT exam. All of these Apps are available for a variety of platforms - Apple, Android and Windows (Windows 8 and RT tablets). The basic App is free with samples and in App purchases are usually $4.99 each for more content and tests. Complete grades are $9.99 on the iPad for Elementary Grades. We tried the 6th Grade Language Arts App. 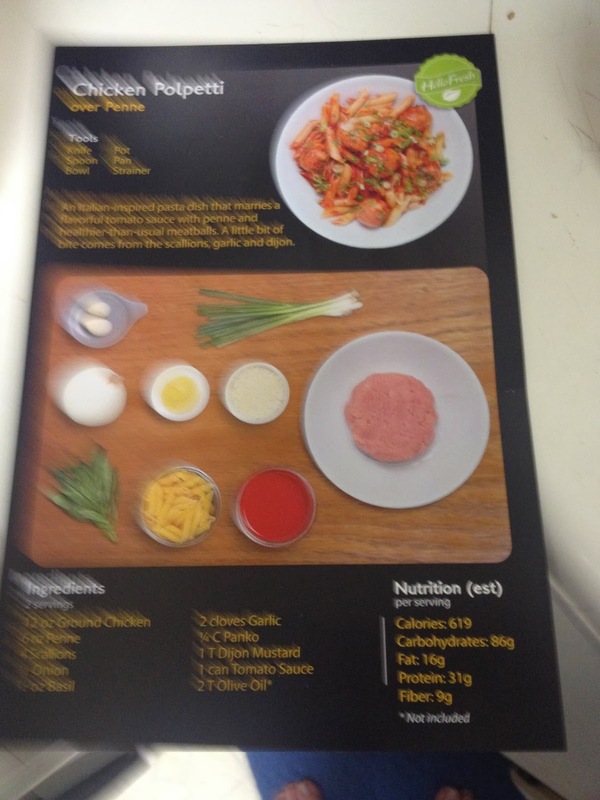 It gave us some samples to get a feel for the program. . 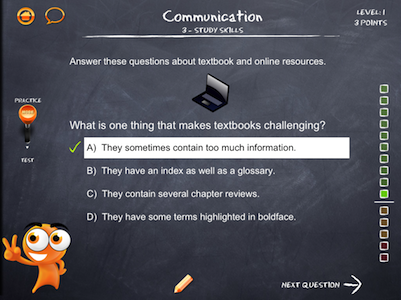 The Trial gave us two free activities in Reading - Writing and Composition - Grammar - Vocabulary Booster and Communication. It was very easy to use - the prompts are great and the visuals are clear but not overwhelming. I believe it would make a nice supplement to any curriculum and a good review tool at a reasonable price. I would like to see it enabled for text to speech as it seems to help my auditory learners tremendously to have that feature. To see what other Team Members had to say about this product please check here. As a long time owner of the Math Mammoth Blue series, I was happy to have the chance to review Math Mammoth 6. It can be purchased as a download or CD or in printed form. I always choose downloads as a personal preference. I find them more convenient storage wise (thumb drive or CD) and I have a laser printer so it's economical for me to print what I need. 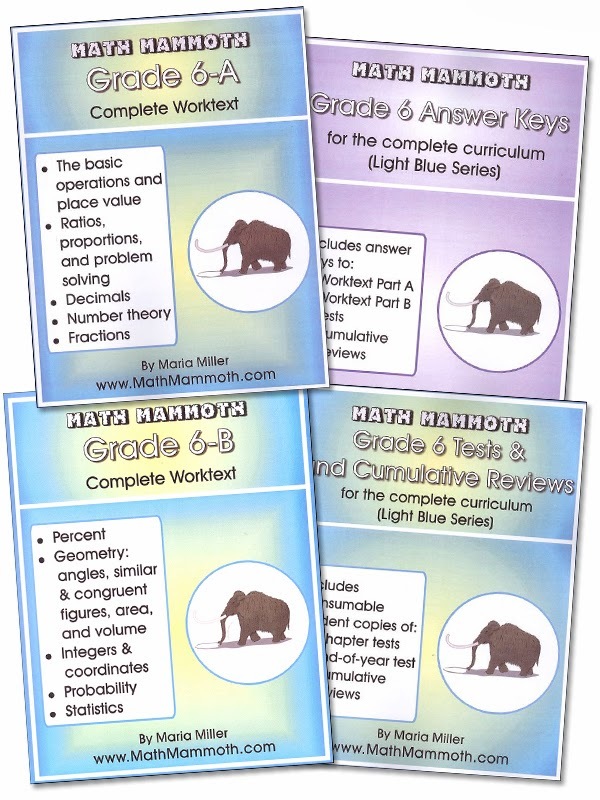 We used Math Mammoth 6 for Youngest for the review period. I have been using worksheet from the Blue Series that I purchased sometime back to fill in gaps for all three kids. The Blue Series is based on topic and is designed to be used to shore up or reinforce any gaps or concepts that a student struggles with. I loaded the worksheets onto out iPad via Google Drive. In order to work on the sheets on your iPad you will need an App that will let you 'annotate' or write on the PDF file. I use Notability which is $2.99. I can also print or email the completed sheet from the App. Using a stylus makes a much thicker mark than a pencil would so I wound up printing out the worksheets. But I took a screenshot so you could get an idea of what it would look like if you did work the sheets on the iPad. Using Math Mammoth really helped Youngest understand he doesn't know it all when it comes to Math. It helped uncover gaps in his math learning I didn't know he had. He liked the clear and varied explanations of concepts. I will be using the previously purchased Blue Series to help with those gaps while we use this for the rest of our school year for his primary math curriculum. In short, I find this is an affordable, flexible product that works very well. I have used the Blue Series with all three of my kids - all differently abled learners. It is cost effective - even when figuring in the printing cost. 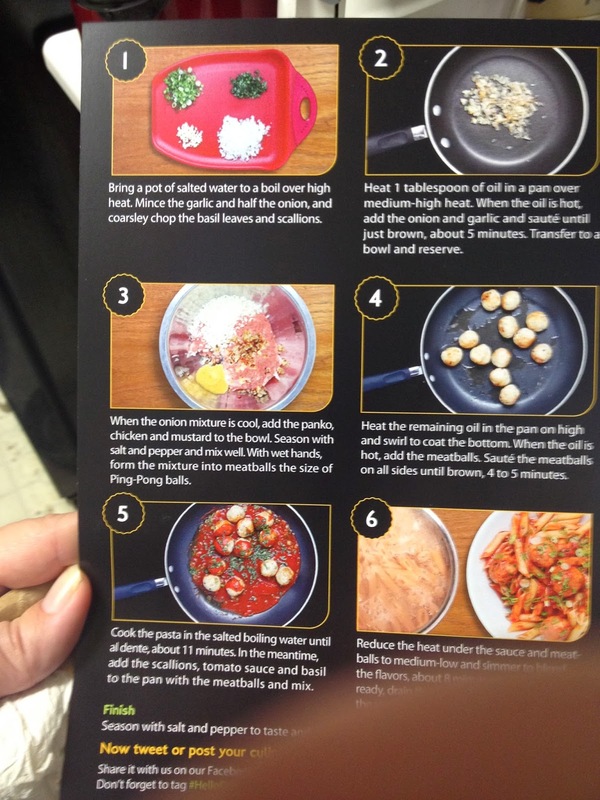 Printed versions can be found at Rainbow Resource or Lulu. Downloads or CD packages from Kagi (CD or Download) or Currclick (dowloads only) from $34.00 for the complete Grade 6 Curriculum (including tests & answer keys) or $39.00 for CD. You can get 6A or 6B for 17.50 for Download. There is a REVISED version of 6A available from the above retailers. The link will explain the difference between the old and new versions and give you a timeline for when 6B REVISED will be published. I highly recommend this product as a complete curriculum or as a supplement. It's visual and easy to understand and follow. I will continue to use this for my youngest and the Blue Series to supplement Middle and Oldest in their Math studies. 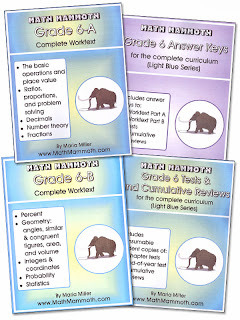 To check out other reviews of Math Mammoth from the Mosaic Review Team go here. When I first learned to drive my mother had a straight shift van that I tried to drive. Emphasis on 'tried'. We lurched, we stalled, there was a great wailing and gnashing of teeth. I simply had a hard time multitasking enough to drive the blasted thing and finally gave up and swore I'd never drive a straight shift again. Well, other than my pick up truck that I absolutely adored but wound up not being practical for driving around Raleigh - where I was living and working after I bought it. Something about that straight shift transmission clicked with me. I knew exactly when and how to shift. This homeschool year reminds me of trying to drive a straight shift car again. Oh, I picked out the curriculum. I did posts about it. I sold or gave away what wasn't working. I made out my schedule. (I adore planning - it's follow-through that I need work on.) We used the curriculum for six weeks. This is our seventh year. I should be an old pro at this - right? Uh, no. It's like I forgot how to drive the car all over again. And I got stuck shifting gears again. Some of the stuff I thought wouldn't work - well I had a piece of it leftover and I thought - well, let's try this again. Except this time Oldest clicked with it. Seriously clicked with it. To the point I ordered the upper level and it clicked even better. He used one of the vocabulary words the tutor gave him in a paper! Correctly! All by himself! Happy Dance! But I ground the gears again. Oh no! He's almost seventeen! He's behind. For many reasons he's not where most kids his age are. For one thing he started public school later than most because his birthday was past the magic cut off. Then we had five years of public school in which he spent more time out of the classroom than in and had underlying reading issues the school refused to recognize or help him with. He can't read because he's autistic, they said. I didn't buy that because Middle and Oldest were/are reading just fine. So after we pulled him out we had to save up money to have him tested and then find a tutor and well.... The tutor is like Wonder Woman. She started from the very beginning and now has him almost through the Wilson program. In two years (give or take a few months) with one visit a week. And she told me today he was almost done with Wilson which she had warned me might slow down for the last two levels. Someone forgot to tell Oldest. And I don't mean to diminish the fact the kid has worked his tail off at learning to read because he has. It was just something I couldn't teach him. I don't remember learning to read. I just always have. But for some reason I keep thinking - He's behind - time is running out. Time out, Peggy.... Behind What? I don't know, God. He's just.. behind. He is as I have made him. I created him. I have a plan for him. You know this. God knows me. I mean, He created me too. He knows that I'm like the Israelites He used Moses to lead out of Egypt. I'd wander around the dessert for forty years if He didn't do something huge - something I can't ignore - like part the Red Sea or something. I call it sending me billboards - flashing, loud billboards. I do believe! Help my unbelief! I went to our local support group meeting a couple of weeks ago. We had a great meeting and a parent panel. 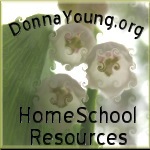 Wise women who have homeschooled for years answered questions. Mine was - wait for it - my Oldest is behind. Deep breath. Ok, that's really clear. Thanks God. Now what? Trying switching back to the automatic. God has sustained us through a very unexpected lay off. He provided a job my husband likes and is not nearly as stressed over. Its well worth a pay cut. Its well worth me going without health insurance for 90 days. I've always done better trusting God in the big but not the little things. One step at a time, we will move - and not lurch - forward. And I promise to try and remember that God has a plan for each one of my kids. In the Review pipeline: Math Mammoth - later this month. See the Light Art - next month. 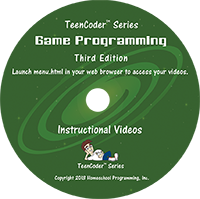 Since all three boys love video gaming and I rely on Oldest to help with anything computer/tech related I asked to be on the team to review two products from Homeschool Programming Inc.
and Game Programming (2nd Semester). Course only - $75.00, Course and Video - $90, Video only $20. The complete package for the year - both programs - is priced at $130- Course only, $155 - Courses and Videos, Videos only - $30. 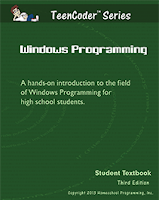 The Windows Programming program is a pre-requisite to the Game Programming because it builds on skills learned in the first course. The above links will take you to directly to the order pages. Our materials came in the form of a download and we could access the videos solely for the review. It was quite a trick to juggle the PDF of the book, the video and the actual program. I could not print the manual out to use (printer issues) and that would have made things infinitely easier. The other mistake I made was trying to install it on Windows 8. I consider myself fairly computer savvy but Windows 8 is beyond my capacity for patience on a regular basis. Once I installed the program on our Windows & laptop things got MUCH easier. Based on the issues I encountered I would highly advise purchasing the full package and spring for the videos. They are worth it. 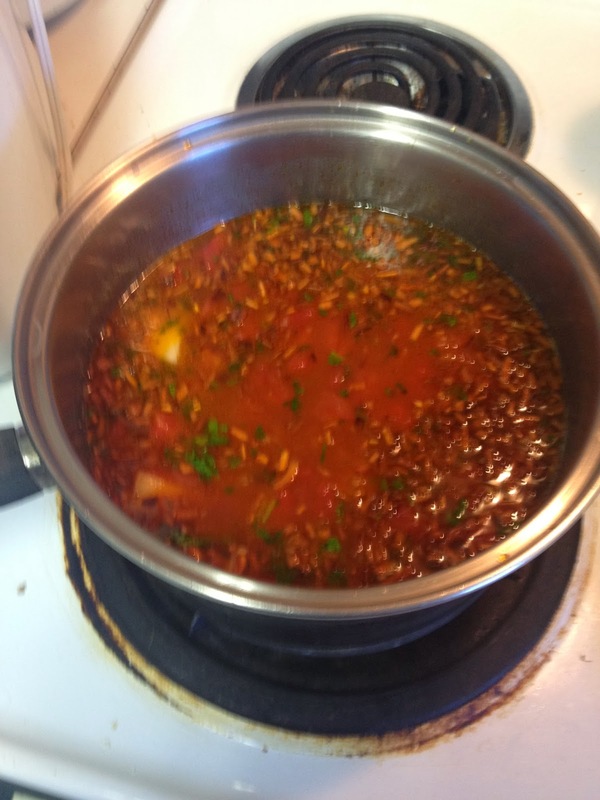 I also watched the videos and followed the instructions step by step. This made downloading and installing the required (and free) Windows Express 2010 and Microsoft's XNA Game Studio a breeze. From there we got to work. I had a steep learning curve with Windows Express. I think I have been using a MAC too long and have lost the knack of Windows software. 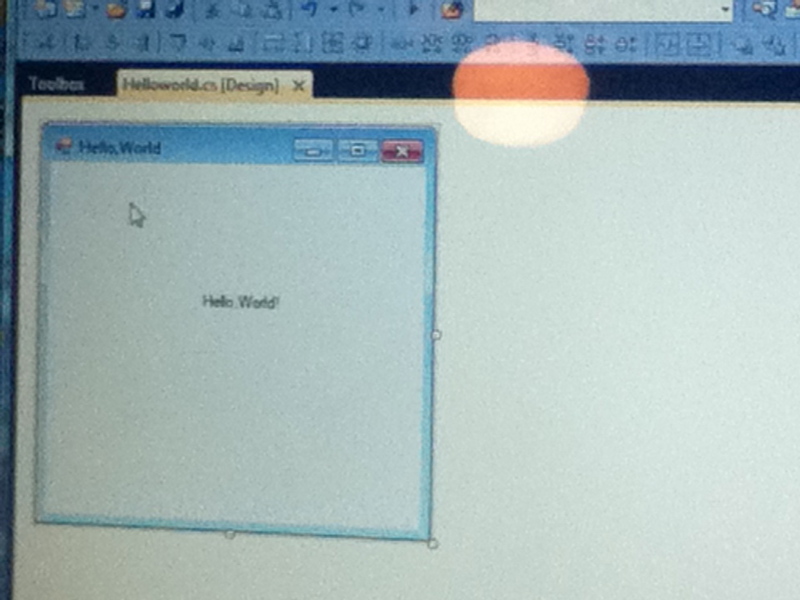 The boys were too intimidated by Windows Express to get past the first couple of lessons - which surprised me. 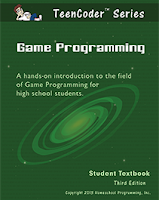 They were further disappointed to learn that until we completed the Windows Programming we would not be starting the Game Programming due to lack of skills. So we all did the work together. The materials are clearly written and easy to follow. The only difficulty was switching back and forth from the window to reading and the window of doing. I solved this by opening the PDF on one computer and the program on another and the video on yet another. 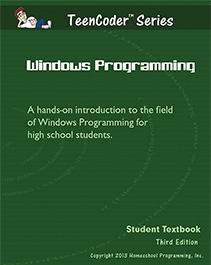 Oldest really liked the first three chapters which deal with the history of Windows and Windows Programming and Languages. 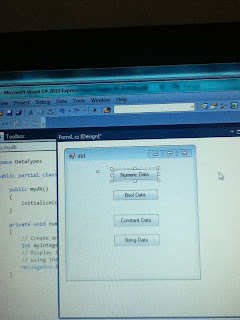 We then moved to working with C# programming. 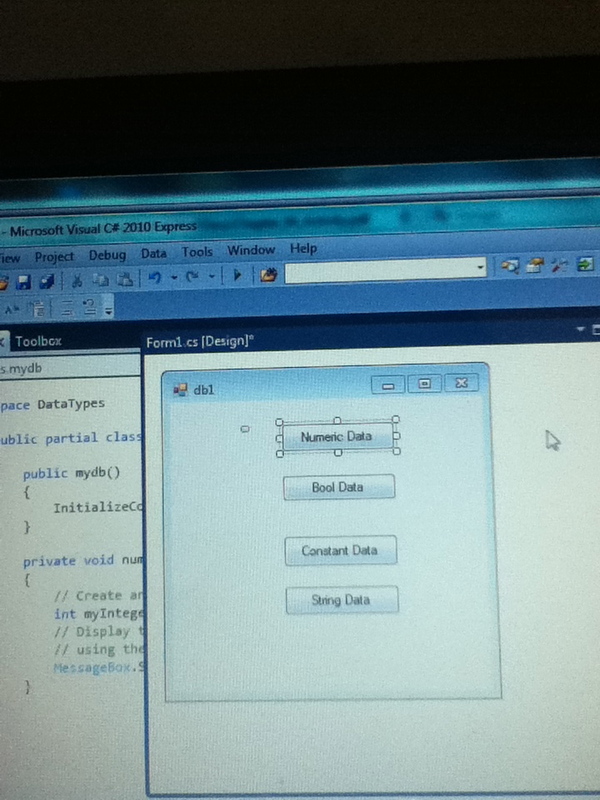 We worked farther along in the Windows Programming guide and I do apologize for the not so sharp pictures but I wanted to give you some idea of what some of the exercises looked like. This course was easy to navigate once I got it installed properly. Any issues were the result of user error - not the curriculum itself. All in all we enjoyed this product after the Windows 8 disaster. I'm hoping to print out the user manuals because I think it would make this much easier. The videos are a necessity in my opinion - especially for visual learners like mine. 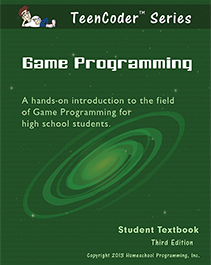 This is going to make a nice elective for Older and Middle and I plan on having them work through it individually before moving to the Game Programming segment. Since we have an Xbox 360 I'm sure it will be a great motivator! 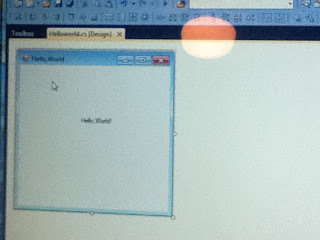 I am pondering their materials for Youngest - they have the Kid Coder for Visual Basic and Game Programming and also for Web Design - he is a little more tecnically minded than the other two boys. For a complete list of available courses check here. Check out what other Mosaic Reviewers had to say about this and other products from this vendor by clicking here. Disclaimer/Disclosure: I was given use of this product for the purpose of obtaining my honest opinion. I received nothing else. This is my honest opinion. Please consider that every family is different and results may vary.